Plastic injection molding is known as the most common and efficient manufacturing process of plastic parts. The principal advantage of injection molding is the ability to produce high-volume plastic parts with an extremely fast cycle time compared to other processes. The process can handle extremely complex parts, uniformity, as well as the ability to make millions of identical parts. 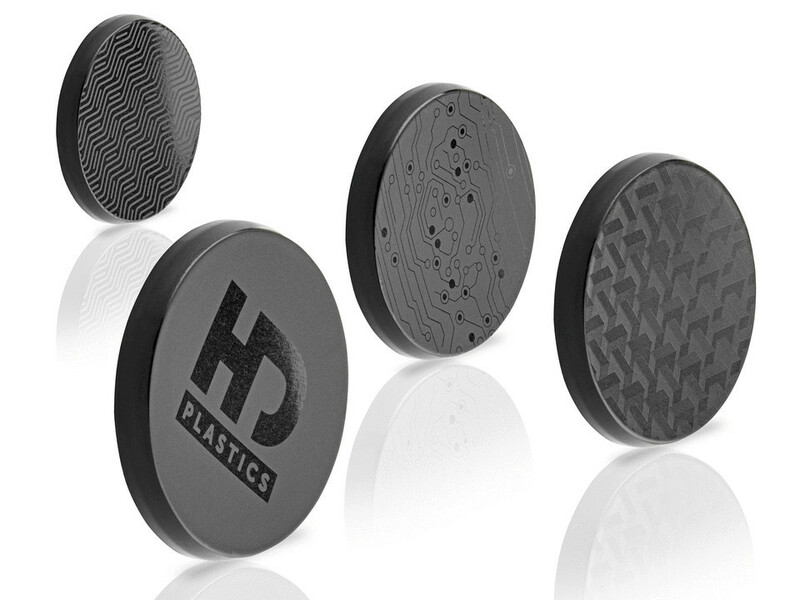 How can we make final products combining perfect surface finish and high performance without any defects? “Heat and Cool” or “RHCM” processes offer a good solution to enhance the quality of products. Several technologies exist such as hot water, steam, oil, electric heater or by induction. However, heating by induction is the fastest, most economical and safest technology for Heat and Cool injection process. Common visible defects observed with conventional injection molding such as weld lines, sink marks, blush etc. are reduced or eliminated with Heat & Cool induction technology. Combination of high gloss and low gloss surface finish are achievable directly from the mold even with fiber filled plastics. The surface will be resin rich, fillers are not visible on the part surface. Visible weld lines can be removed as well depending on the material. With up to 97% replication of the mold surface anything is possible from micro texturing surface to nano-scale holograms. Thin wall is difficult to achieve with conventional processes but with a high mold temperature, the flow is able to completely fill the thin injected part. As the part is reduced in thickness less material is needed. Higher mechanical performance will be achieved due to better flow capabilities. Residual stresses will be lower and weld lines stronger. Without secondary operations after molding, the aim is to get top surface quality without additional operations like paint, varnish or films. Results vary based on resin types. Full temperature distribution control allows the right molding temperature to be achieved, up to 1000°C. The correct temperature is reached in a few seconds with very low energy consumption compared to other Heat & Cool technologies. By Calypso Beloli, Materials Engineer@ Roctool France. Roctool has perfected the induction-based heat and cool technology. If you want to know more about it and how it works, please visit our website www.roctool.com. Read also “HD Stories” — http://www.roctool.com/industr... — stories how companies have successfully used our technology to make better products. I’m inviting you to connect with me to receive more detailed information or to discuss your applications. At Roctool, molding matters.